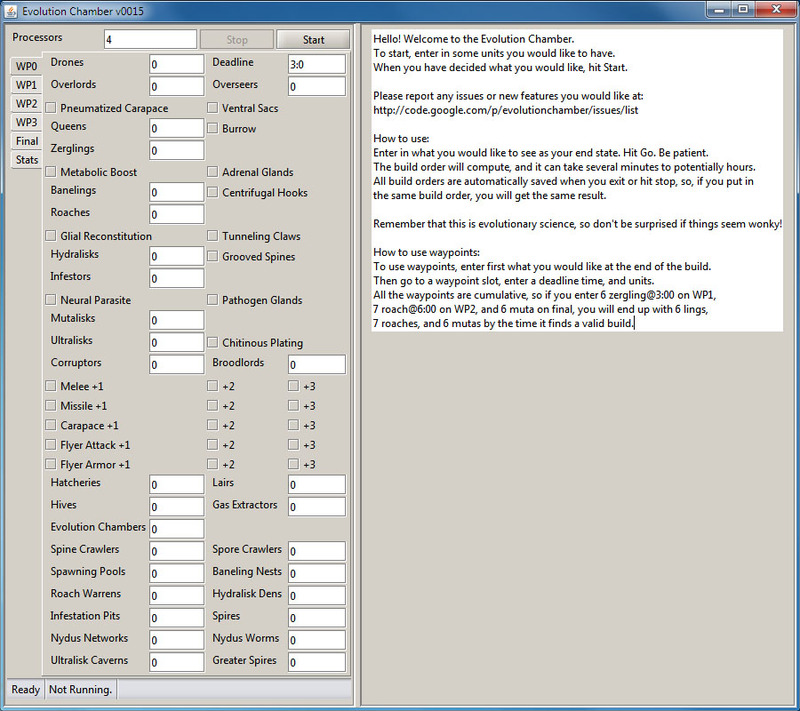 CarbonTwelve from Teamliquid.net has a new build order optimizer, inspired from Lomilar’s Evolution Chamber. This program is made with C++ instead of Java, which CarbonTwelve says is very fast, and you will need to install Microsoft Visual C++ 2010 Redistributables x86 to use. 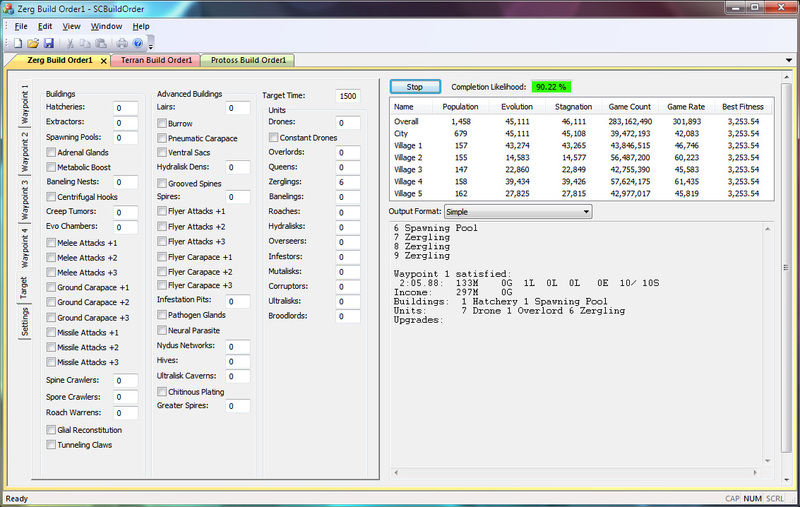 SCBuildOrder is not only faster than Evolution Chamber, but it can also optimize the build orders for all three races: Protoss, Zerg, and Terran. So if you want to know the fastest build order to get a certain unit out, you should try this program out. One more thing – there may be some errors or unfinished coding because it’s not the final version yet, so you should always check the official site to download the latest versions. BlizzTV is a lightweight open source content aggregator made by Blizzard fans. You can use this to stream the latest game (i.e. 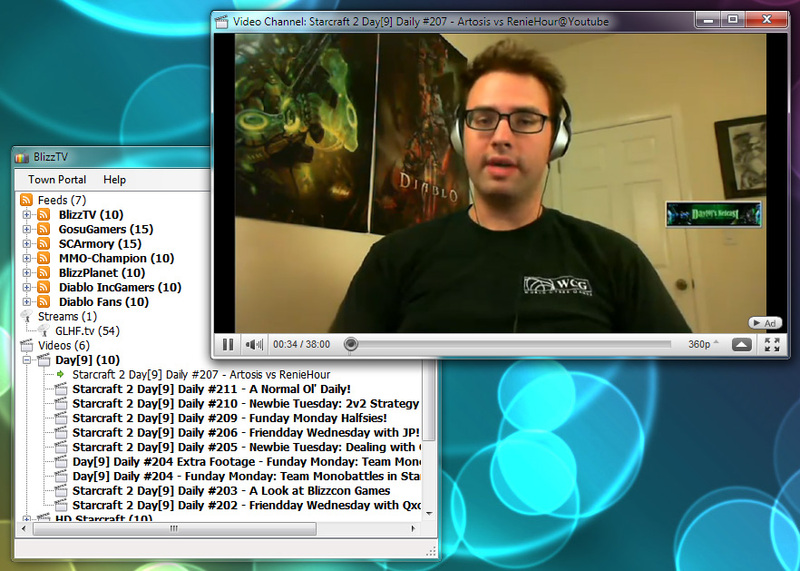 StarCraft II) videos, vods, feeds, and events on your desktop. It’s only in beta version right now, and we should expect more features in later versions. 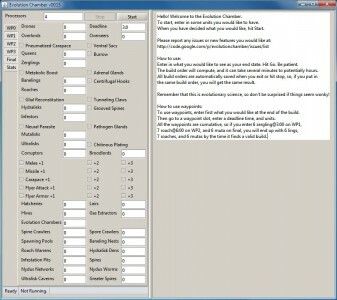 Lomilar from Teamliquid.net has released a cool new program, Evolution Chamber, that will help you find the fastest time to build something in StarCraft 2. 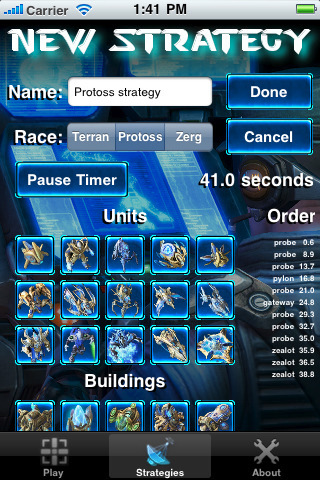 Currently this is only for the Zerg race, so Terran and Protoss players are out of luck. Also, you will need Java 1.6 installed to run the program. Using this is relatively simple – you just input numbers next to the units or buildings you would like to make. 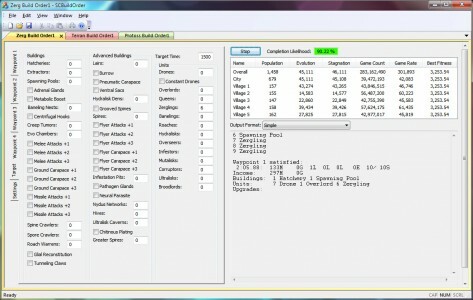 Depending on the build order that you want, this program can take from several minutes to several hours to complete the optimization. You can download the program below, but you should check the official site first for a more updated version. 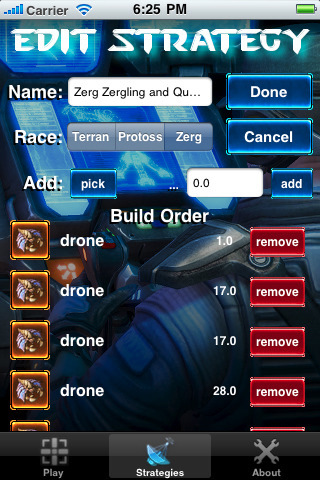 There’s a new iPhone/iPod Touch app that helps you manage your StarCraft 2 build orders. After you create your build orders, you can press play and the app will call out the build orders for you in real time as you are playing a match! Check it out in this iTunes link if you are interested. 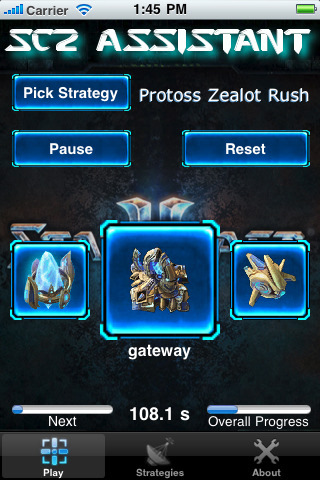 New version of Sc2gears is now out which supports replays from the official release of StarCraft 2. Full version history can be read here. 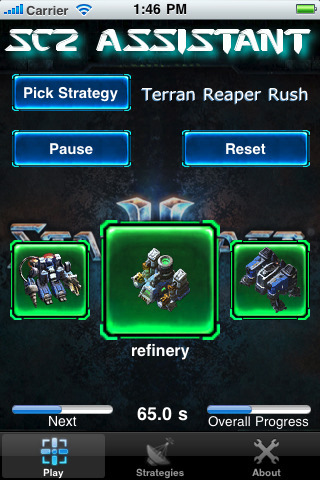 Sc2gears lets you manage and search your StarCraft 2 replays, and it will also display basic and statistical information and charts. 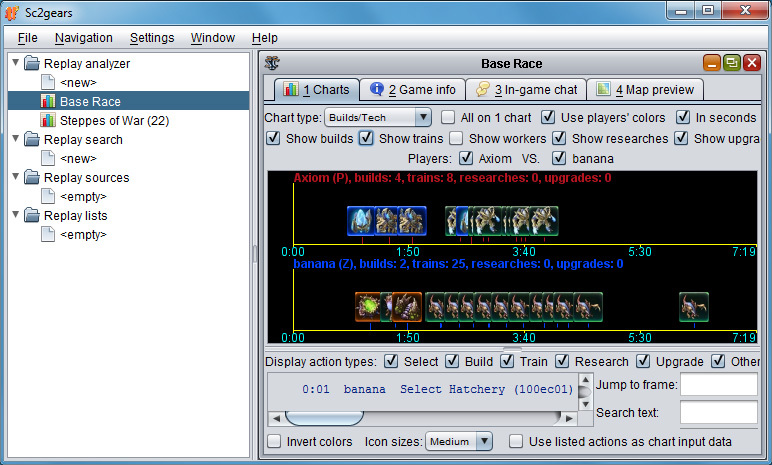 This new version of Sc2gears has Multi-replay analysis! It is written in Java and is available for Windows, Linux, and Mac OS X. Click here for the full list of changes. 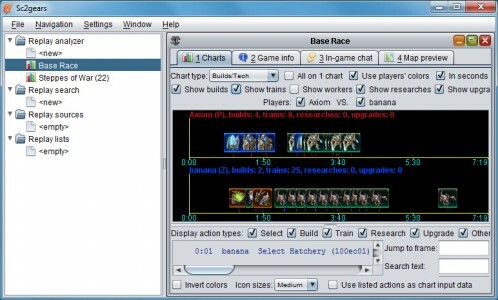 Check out this new program called Sc2gears, available for Windows, Linux, and Mac OS X. Sc2gears lets you manage and search your StarCraft 2 replays, and it will also display basic and statistical information and charts.